Time to celebrate with a few laps! 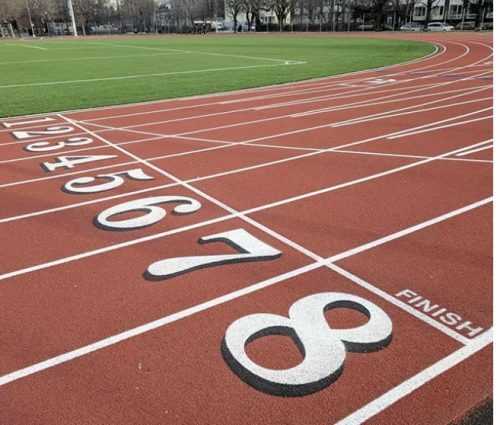 The quarter-mile McCarren Park track has reopened after almost a year of improvements by the parks department for a cost of $3,188,000. 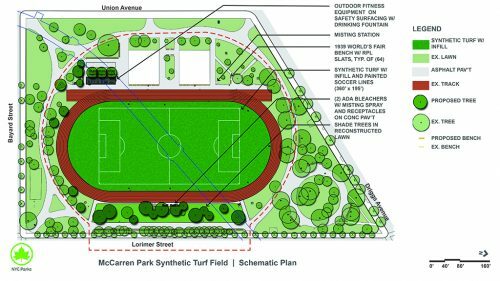 The soccer field was also closed last March and a new artificial-turf was installed. Other improvements include a misting station and adding trees to the surrounding green area.